Your teeth are well cared for and you visit the dentist for your regular cleaning and checkup every six months, but you’re still unhappy with your smile. You’re not alone. As many as half of your peers feel the same way. You don’t have to let flaws make you smile closed-lip. Dr. Marracino offers many cosmetic dentistry procedures to brighten your smile. More and more patients are learning about the benefits of cosmetic dentistry procedures. Not only do patients enjoy a new look, they also feel the renewed sense of confidence that comes with an attractive smile. With so many advancements in dentistry, many procedures require minimal visits to achieve the maximum result. Over time, teeth begin to yellow and our lifestyle choices can add to discoloration. Food, drinks, and tobacco can all take your teeth from pearly white to an unsightly dull shade. 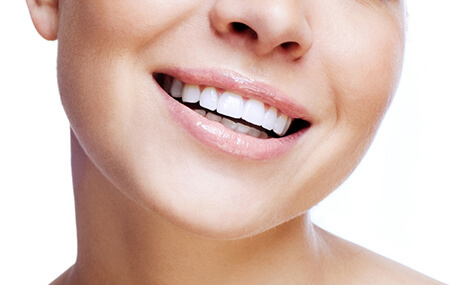 Revitalizing your smile might be as simple as teeth whitening. It’s safe, effective, and requires no anesthesia. Dr. Marracino can professionally whiten your teeth in our Texarkana office with Zoom! whitening, or we can create custom whitening trays for home use. Our in-office Zoom! whitening treatment takes about an hour, and can brighten smiles up to ten shades. Our take-home whitening kits offer the same dramatic results over the course of two weeks of daily application. This is a great option for those patients who have sensitive teeth or who prefer to whiten their smiles gradually. Bonding is a technique used to restore a chipped, slightly misaligned, or otherwise imperfect tooth. In one visit, Dr. Marracino applies a putty-like composite resin that is shaded to match your teeth. 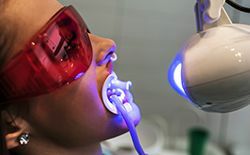 Hardened with a curing light, the resin is then shaped into a more pleasing form, perfecting your smile. An inlay or onlay can be a good option for replacing a large filling without having to place a full crown. Dr. Marracino takes a conservative treatment approach, making sure that patients retain as much natural tooth structure as possible. Inlays and onlays fit into the tooth similar to a filling allowing for a beautiful, natural smile. Porcelain veneers are one of the most popular cosmetic dentistry procedures today. Veneers are made from layers of thin porcelain sheaths, and once placed, they completely cover the front of your teeth. Dr. Marracino can completely transform the look of your smile with porcelain veneers making gaps disappear, misshapen teeth well-formed, and chipped teeth whole. Leaving you with a stunning smile makeover. A quick consultation in our office is all you need to get started with the right option for you. From regular preventive care to elective cosmetic dentistry, a beautiful smile is just a call away. With a history of excellence serving patients from Texarkana, Atlanta, Hope, New Boston, and surrounding areas, Dr. Torin Marracino invites you to make an appointment and discover your smile’s full potential. Call our Texarkana dental office today to schedule your personal consultation. 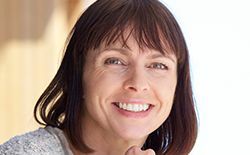 Six Month Smiles® offers patients clear and tooth colored brackets and wires that gently shift the front facing teeth into their ideal alignment in about six months. The reason these braces are able to work so much more quickly than traditional orthodontics is that they only shift the teeth within the visible part of the smile rather than repositioning the entire bite.